Welcome to our May 2011 design newsletter! 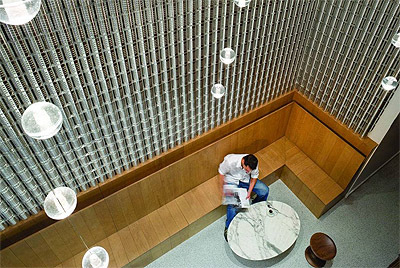 Today you will learn about the latest trends in commercial interior design! Don’t forget to check out our Blog for other creative ideas on how to improve your business interior. 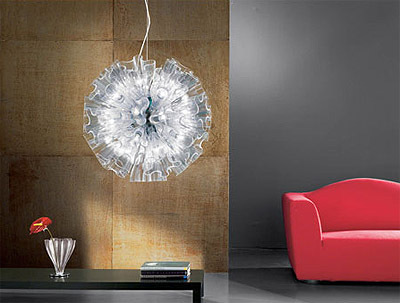 In our Green News corner, take a look at a new LED light fixture, The Bella Chandelier. Not only does it look stunning, it is made out of 700 LEDs which means it is bright and energy efficient. Last year, in our May 2010 newsletter I shared some of the latest Architecture trends. 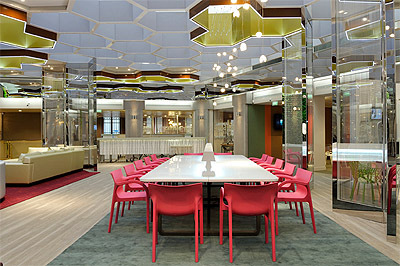 Today I'd love to point out some current design trends in commercial office interiors, restaurants and other businesses. If you missed it, read our last newsletter on Trendy Office Design Ideas. You will see some of the 'hottest' offices around the globe, including Skype's, Googles's and Twitter's offices. It's very difficult to note every trend that is current in commercial interior design but I've selected some of my favorites to showcase here for you. I have to be truthful, when I saw the color of the year for 2011, I was a bit skeptical of its application. But seeing other designers bravely and skillfulness using it, I started liking it more and more. Take a look at this creative bank design in Paris. Not only do the colors of the space bring cheerful feelings to its visitors, the honeycombed ceiling and surrounding mirrors also create an almost Disney-like movie set atmosphere in this space. Several designers implemented Honeysuckle color of 2011 year for their carpeting, furniture, accent walls or light fixtures. To learn more about why this color was chosen to be a color of 2011 year click HERE. 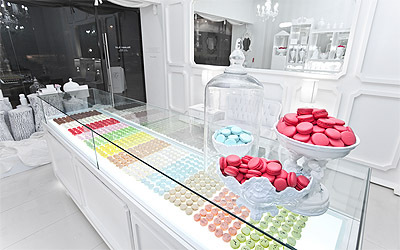 If you have been to some of the trendiest shops and restaurants around the world, they are all missing sharp corners. Their designs are usually very rounded and flowing following organic shapes, which are more natural to us as humans. Windows, doors, frames and lighting fixtures all have liquid smoothness and feel. This elegant and sophisticated jewelry store Octium is located in Kuwait. To see more images of the store HERE. 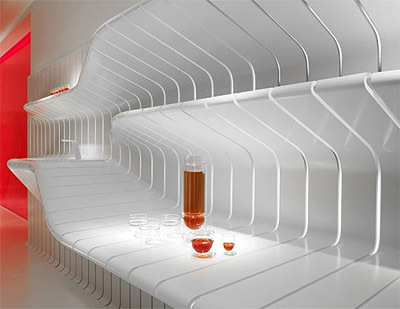 Other designers take it even further with the flowing shapes which transform into useful ergonomically design elements. The same "white" trend is being followed by the store Camper in Tokyo. Even the images on the walls have a white background with the brightly colored products being a main focal point. I am so happy to see that our boring one color accent walls have become something a bit more interesting and exciting! 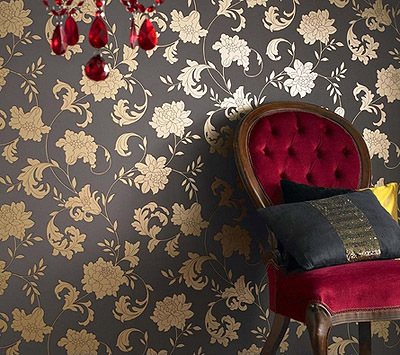 Different shades of wallpapers are back and are being used in unexpected places inside of restaurants, offices or in our homes. Even kitchen objects are being utilized to create interesting wall finishes at coffee shops and restaurants. Take a look at these cans stacked into the slick-looking steel walls. What a great idea! Wall imaging is another popular element in contemporary commercial interior design. The images can be applied by an artist by hand or printed on any type of a substrate such as vinyl or canvas and applied to a wall. I remember when Patric Blank took my breath away by applying plants on a famous Jean Nouvel building in Paris, the Musée du Quai Branly. No longer are green living walls a novelty! 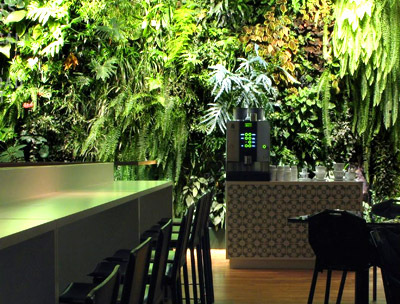 In fact, you can get your local installer right here in San Diego to put a live green wall in your office, restaurant, and any other business or home! 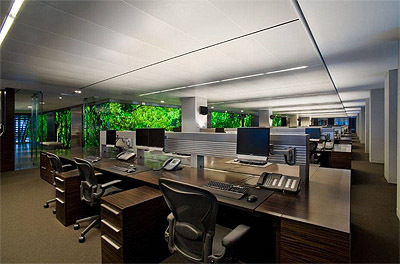 And if a Green Wall is too much to handle for you right now, placing backlit images of greenery will also do a visual trick like in this office below. 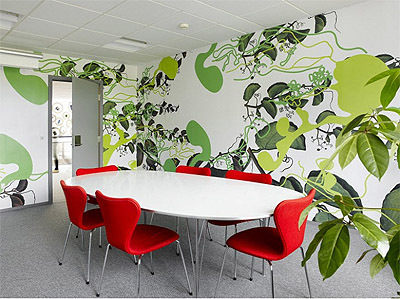 Green plants promote health; and even seeing green plant prints will add some balance in the hectic workday of an office. 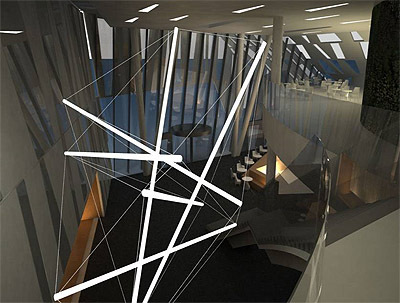 The Bella Chandelier - a living scenography of light and color created by GXN, the R&D department of Danish architects 3XN. This light sculpture with more than 7000 LED lights welcomes you to the largest hotel in Scandinavia. Read more HERE.